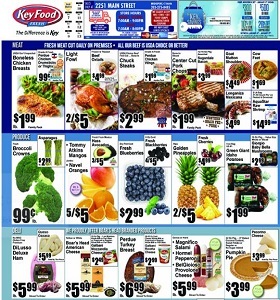 Key Food Weekly Ad December 7 - December 13, 2018. Chuck Steaks! Key Food Weekly Ad December 7 – December 13, 2018. Chuck Steaks! -$11.99/lb Belletoille Triple Cream Brie; $5.49 Harvestland chicken Breasts.